We wonder what readers make of this strengthening of Tunstall’s presence within TSA? Will provide delegates with insights on how technology can transform the NHS, their organisation and lead to better patient outcomes. Delegates will learn about the role of technology in the changing NHS landscape. There are some ‘limited discounted rates’ of £275+VAT per public sector delegate and £445+VAT per private sector if you contact organiser Paul Tyreman directly, by email or phone: + 44 (0) 161 200 8625 . Website for details. Pre-filled multi-day medication boxes (versus large dispensers meant for an external service area) are becoming increasingly common both in the community and individual home setting, but there is always the risk of an individual’s confusion in taking more than one day’s dose, or the medications all at once versus at the right time. MedMinder’s Jon model, a new seven-day wireless M2M dispenser, can be controlled by the caregiver through their monitoring website to let the individual access only the correct compartment and also at the correct dosage time. It has reminders (beeps, phone calls, emails or text messages) and notes when the compartments have been accessed, similar to its existing Maya model. Their website feature page has a brochure link, but it is for the Maya, not the Jon, model. Editor Donna also finds interesting their payment model of no upfront cost and a monthly fee. (Note to MedMinder’s marketers/general counsel: ‘medminder’ is becoming a generic term for dispensers–the MedMinder team is well advised to register their trade name.) Website release (mind the typos) Also noted is that Bosch is using MedMinder with its HealthBuddy and T400 programs. However, now is a good time to point readers back to AskSARA because it has now started to give a better, app-like experience to users reaching the site from a smartphone. Users can now go through the self assessment easily without any horizontal scrolling or straining to see small text. The ensuing report is also clear and can be printed out or a link can be emailed for viewing on a larger screen device later. 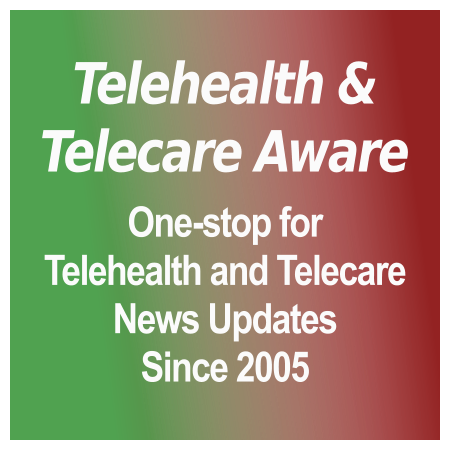 However, the telecare information is a little buried – one has to choose the ‘Daily Activities’ topic tab and then ‘Help in Emergencies’ to start the self assessment. Worth exploring, though. A UK study indicates that people with diabetes have a significantly raised risk of heart problems. Quite a good argument for increasing the uptake of remote diabetes care, surely? Diabetes patients face 65% higher risk of heart failure. GP Online. Last week the GP’s publication Pulse held a ’roundtable’ discussion session on the issues for GPs around telehealth. It was funded by the 3millionlives (3ML) team, commissioned by the Department of Health (DH) 3millionlives (3ML) programme, and editorially controlled by Pulse to a brief agreed with 3ML. The 3ML contingent was headed by Paul Hitchcock who is the NHS workstream lead for 3ML at DH. If you are interested in telehealth it is worth reading for some snippets from Professor Stan Newman and the ever-sceptical GP Margaret McCartney, and for the indication of the direction for 3ML from Paul Hitchcock “From my perspective at the Department of Health, our immediate next step is much closer engagement with the GP community than we’ve achieved to date.” This looks like it was a reasonable start, but will Pulse articles become less negative about telehealth from now on? The future of telehealth in Pulse – free registration required. Heads-up thanks to Mike Clark. Not telecare or telehealth, but a sharp reminder how easy it is to slip into writing nonsense (and have it approved). And don’t forget these are the kind of people who will be advising commissioners, possibly on telehealth procurements, in the brave new NHS. Local NHS unit picks up top award for ‘the worst written nonsense’ of 2012 Wirral Globe. Congratulations to Phil O’Connell for the further recognition afforded by winning the NHS Leadership Academy’s Innovator of the Year Award last night for the Simple Telehealth system (Florence) that he has developed and championed for the NHS. Here is the citation. Do you suffer from M.A.D.? 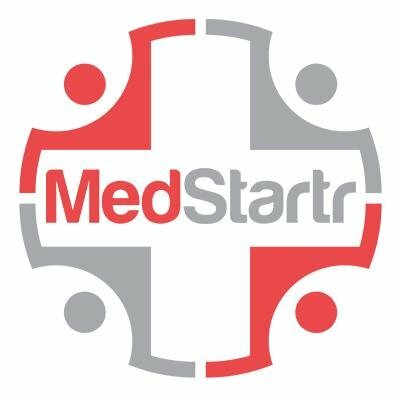 Are you a clinician who feels overwhelmed by the jillions of one-trick-pony medical apps on your iPad? Is your day characterized by wild mood swings due to frustration (left) in not being able to customize your apps? According to this website, you could be a victim of Medical Apps Disorder*. This clever website and funny video is but a teaser for a new app in phase 3 clinical trials that promises to alleviate said symptoms. Let’s hope the cure lives up to the promise made by app developer Skyscape and info/decision support division Physicians Interactive. * Not in the American Psychiatric Association’s soon-to-arrive DSM-V, but perhaps it should be. Get a cuppa’ and an aspirin, shut the door, turn off your phone and other distractions and get stuck into reading the free, 28-page Remote Care PLC: Developing the capacity of the remote care industry to supply Britain’s future needs report. Despite the pedestrian title it is a cracker and, despite the UK focus, it has messages for anyone in the ‘remote care’ (telecare and telehealth) industry, wherever their market is. Given the lack of definitions and data in this arena it is as solid as any such market research could be and pulls no punches, not to mention delivering many smack-on-the-forehead moments. Hence the need for aspirin! And if you are thinking of making a killing on the back of the 3millionlives (3ML) campaign, you may need something stronger than aspirin…the report suggests that the potential market for remote care may indeed reach 3 million – but not until 2050! The report was authored by James Barlow, Richard Curry, Theti Chrysanthaki, Jane Hendy and Nael Taher and published by the Health and Care Research and Innovation Centre (HaCIRIC) – a collaboration between research centres at Imperial College London and the universities of Loughborough, Reading and Salford – and was funded partly through the Whole Systems Demonstrator (WSD) programme and the Engineering and Physical Science Research Council’s IMRC programme. Download it from the HaCIRIC website or directly, here (PFD).